Justyna and her husband loved the new, open-concept home they bought, but the kitchen wasn’t exactly a selling point. They never even used it. The day after they moved in they took the kitchen right out, along with the wall that held the refrigerator. She also needed her kitchen remodel to be affordable. IKEA turned out to be just the right choice for a high-end looking Italian-style kitchen for a fraction of the price. Did you see this display in the IKEA kitchen showroom? On the left you see MAXIMERA drawers, and on the right you see FÖRVARA drawers. Both can be outer drawers and inner drawers, or drawers-within-drawers. Why choose one kitchen drawer type over the other? The IKEA website explains it, but nothing made it clearer to me than this conversation with an IKEA kitchen sales associate. These IKEA Kitchen Cabinets Were Framed! And They’re Not Guilty, They’re Perfect. We understand. Nobody really likes their kitchen to look cookie-cutter. This is where IKEA’s SEKTION is great for creating a custom, built-in look for your kitchen. Ah, the beloved IKEA kitchen sale! Twice a year, IKEA has a sale on kitchen cabinets and drawers. It’s no surprise we get more kitchen design requests during this time – which is great! 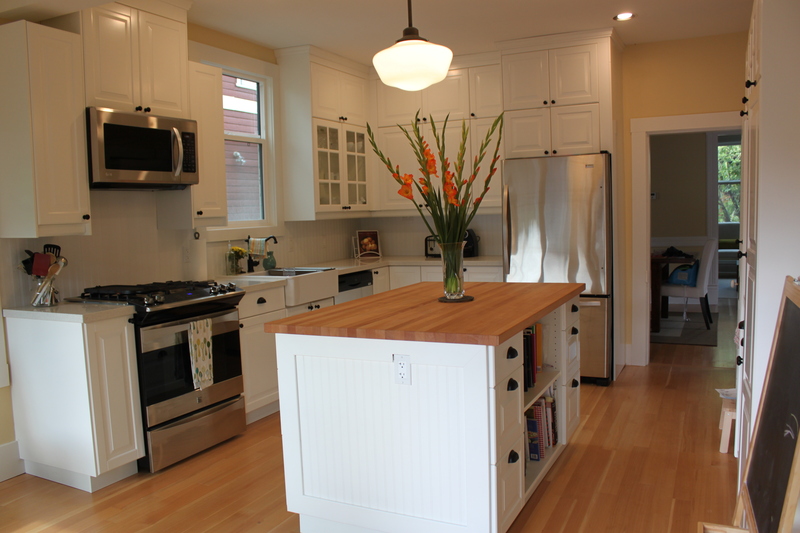 We love seeing our customers get the kitchen design of their dreams while saving money. Designing your IKEA kitchen is a team effort between you, our customer, and IKD. The IKEA kitchen sale is pretty short, and we don’t want you to miss out. So here are our three tips for kitchen design teamwork that meets the deadline. IKEA kitchen sales are usually about one month long. That sounds like a good amount of time, right? Believe it or not, it can become a race to the finish for IKD to get your kitchen design ready in time for you to buy what you need.